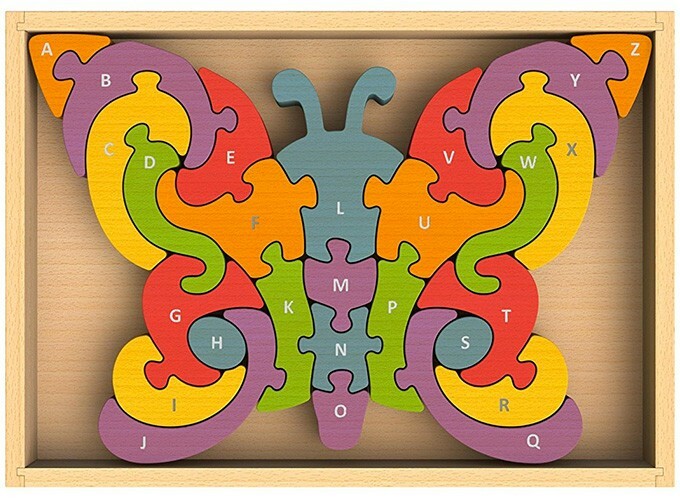 Spread your wings and let young minds soar, as letters come colorfully alive with BeginAgain's Butterfly A - Z Puzzle! 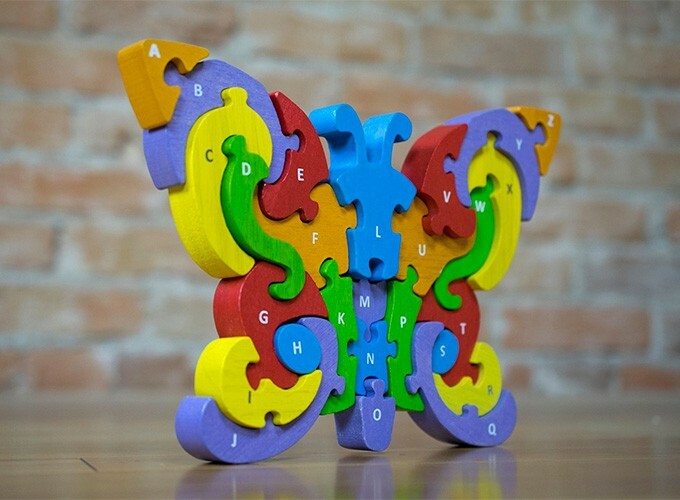 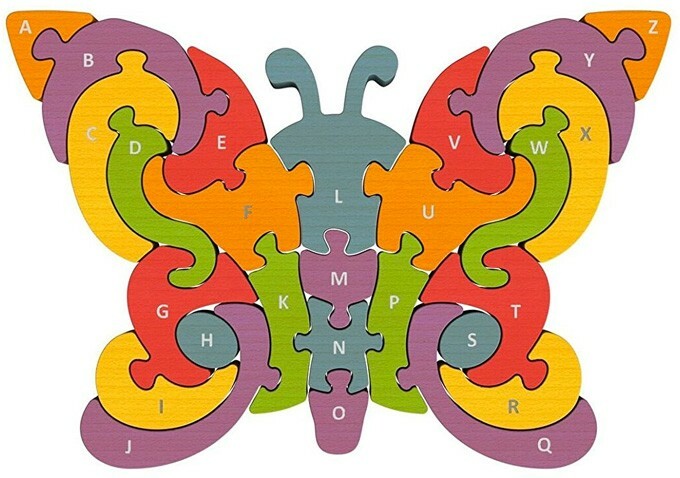 Each wooden puzzle piece is part of a complete alphabet in the shape of a butterfly, with a lowercase letter on one side, and an uppercase on the other. 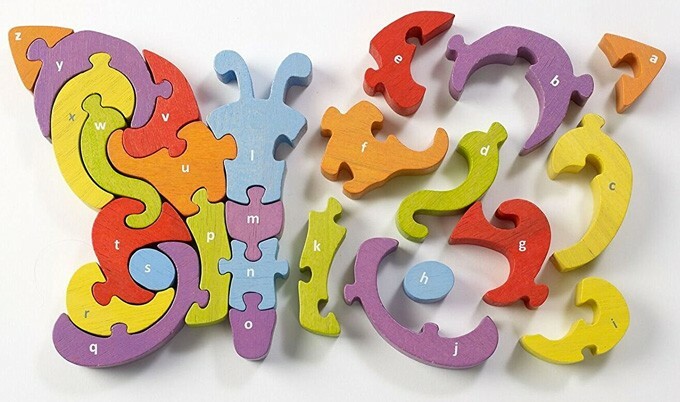 It's nothing but high-flying fun with this ABC puzzle! 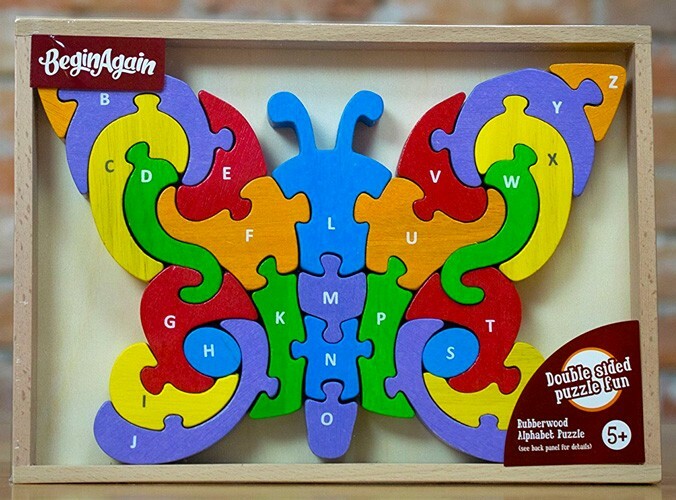 BeginAgain toys are handcrafted from plantation-grown rubberwood, stained with child-safe, non-toxic dyes. 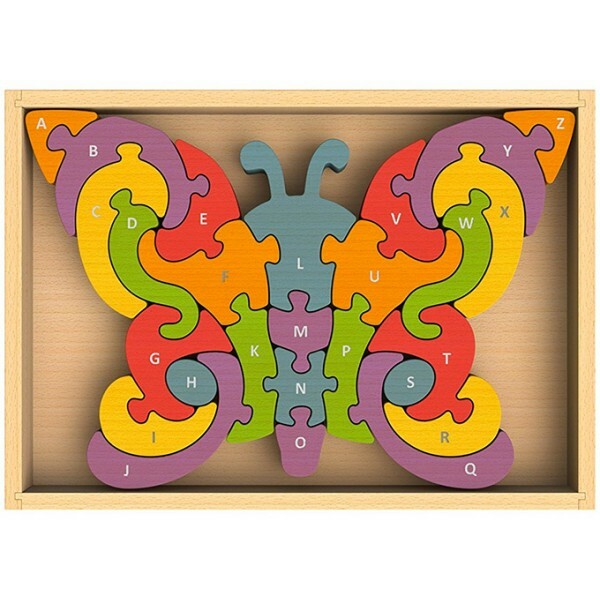 The Butterfly A - Z Puzzle measures 7" wide x 10.25" long in a tray that's great for storage, travel, display, and wrapping up for a gift!